Collection of essays by Fr Alosyus D Fernandez. Njangalkku Barabasine Mathi exmines and most of the time criticises the words and deeds of Christian religious leaders in Kerala. 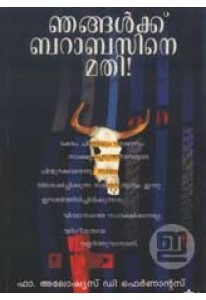 Foreword by Dr Sukumar Azheekod. 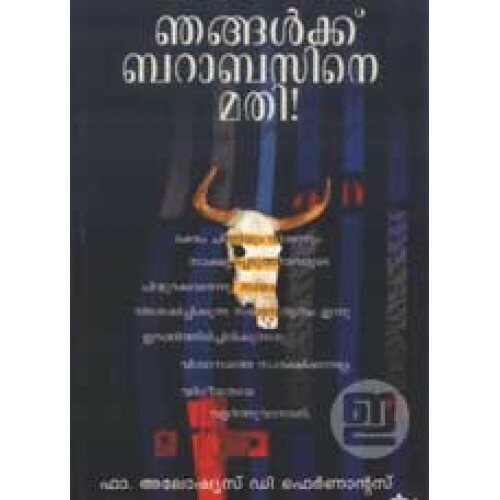 Malayalam Title: ഞങ്ങൾക്ക് ബറാബസിനെ മതി!